8 people purchased this item in the last 30 days. Donna, Trey & 6 others bought this item recently. Sand and Steel’s boutique personal trainer and yoga studio is equipped with everything a beginner needs to start down the path of wellness. 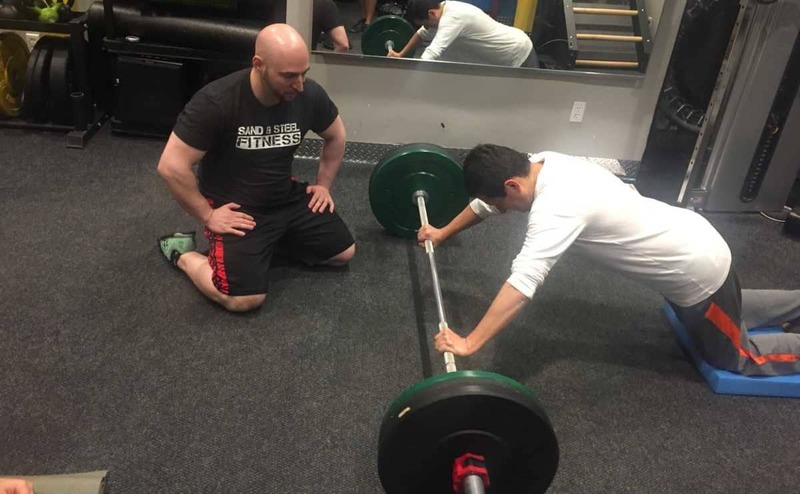 Your one-on-one sessions allow your personal trainer to get to know what your physical and mental fitness needs are; whether you’re recovering from an injury, suffering from back pain, want to improve mobility and flexibility, or simply want to build muscle, our dedication to your goals — and our understanding of how to achieve them — is unparalleled. Consider what you want to change or improve on your body: do you want to learn yoga to build strength and tone muscle, or are you more interested in learning powerlifting? Maybe your needs are more goal-oriented — you want to be able to touch your toes, or perform your first pull-up. When you team up with your very own personal trainer, you benefit from their vast knowledge and skill; they will be able to tell you exactly what to do in order to meet those goals, and meet them safely, all while supporting you when you feel you can’t continue. No matter your age, size, or experience with exercise, everybody can benefit from fitness training. Dawn and Paul, the founders of Sand and Steel, have over 10,000 hours of personal training experience; this means that they will be able to help anyone with any fitness need or goal imaginable. From experienced athletes in the prime of their lives to beginners young and old, no one is excluded from achieving increased mobility, strength, and stability. 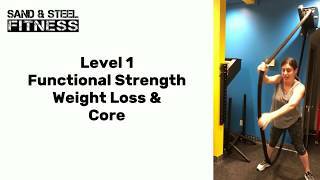 We can only serve so many unique individuals by offering many options, so our personal training studio provides four main services: personal training on an individual level (these lessons are built around how you move in order to eliminate weaknesses and train more efficiently), private yoga, nutrition, and mobility. By covering these essential bases, getting fit will be effortless! We’ll teach you what to eat to keep your strength up and your fat down, how to perfect your downward dog, and how to finally reach those ever-elusive fitness goals. Just how are we able to offer such a broad scope of services while catering to your individual needs, you ask? Through our dedication to discipline, respect, and an always-growing need for knowledge. Paul himself boasts over 20 personal certifications, revealing a deep-seated commitment to bettering himself so he can better you. After all, we only consider ourselves successful if everyone who comes to us for help, guidance, and support gets what they need and leaves feeling satisfied. Our studio is devoted to your needs. We love studying our craft, taking as many certifications as we can, and developing incomparable expertise in our specializations to fuel the fitness fire in your heart. Sand and Steel is proud to help active military members, seniors, weekend warriors, and recovering athletes achieve their fitness and wellness goals. 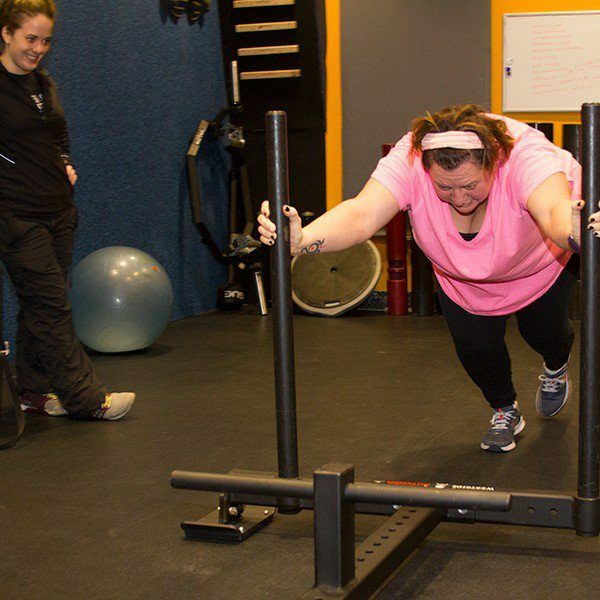 With our Private Personal Training, we craft the workouts around your mobility, injuries, strengths, and weaknesses. When working one-on-one, we optimize the workout to your level of fitness. We take the time to teach you how to do exercises correctly and safely. You only get one body, keep it safe, and make it best you can. 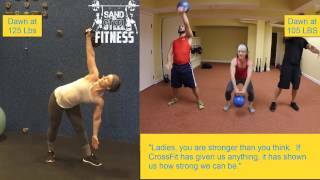 At Sand & Steel, our private personal training is customized, safe, and effective. We build the programming around your body. We help people stay in shape, improve movement patterns, and exercise safely. We build you a customized program, and your coach dynamically scales the workout around injuries and limitations. Whether your goal is to lose 30 pounds, finally touch your toes, or get your first pull-up, we will handcraft a workout program to help you. For more advanced clients, we can teach you handstand progressions, Olympic lifting, and Kettlebell exercises. We also build out custom programs to pass Police and Armed Forces fitness tests. Sand & Steel has trained over 5000 clients across a wide variety of fitness levels, goals, and injuries. We have a whole senior fitness program that focuses on balance and strength. We have 5 different powerlifting programs. We have programs for weight loss, transformation, and functional strength. We build, customize, and test workout programs so that they are the best they can be for you. What you can do on your own in 12 hours, we can do for you in 3 hours. When you work with us, you have the advantage of the 20,000 hours of coaching experience that Dawn and I share. As a team, we have trained more than 5,000 clients and certified over 120 coaches. We have trained many clients who move just like you. We have worked with people with your injuries and your goals. We know what works, what’s safe, and what will get you results. At Sand and Steel, we handle the planning, the programming, the accessory work, mobility training, etc. We do it all. You just have to show up and give us 100%. What really sets us apart from our commitment to continued education. Paul is a biomedical engineer from Johns Hopkins University and a J.D from Rutgers. He has over 20 personal training certifications, most of our competitors have 1 or 2. 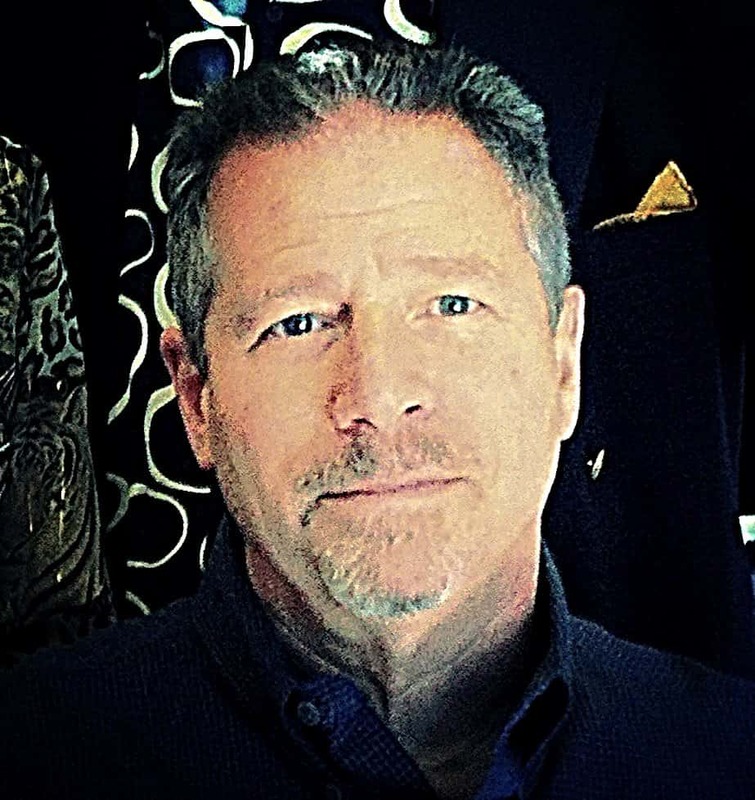 Paul has read over 200 books on fitness, yoga, and mobility. This allows us to know exactly what kind of training is going to work better for you. In terms of types of training, we really do it all. What Kind Of Private Personal Training do We Offer? Having taken part in nearly a dozen workouts to-date, I’m at a point where I can provide a fairly comprehensive review. Weight bars, kettle bells, kamugan balls, sand bags, dumb bells, body weight … they’re all fair game. Sessions are well organized, targeted and delivered in an environment which encourages both proper execution and sustained growth. The S&S staff is truly passionate about their work and bring their “A” game to each and every session. You Will Never Be Bored, or Unchallenged! I have been coming to Sand and Steel since July, 2016. I am a fairly active person and no stranger to strength training. However, I needed the motivation and guidance of a trainer(s) to keep me focused, interested and working-out smartly and safely. I have tried a lot of PT groups, gyms and specialized fitness classes over the years trying to find the right fit, but Sand and Steel is the only one I have found that offers such a large diversity of training programs. You will never be bored, never be un-challenged unless you choose to be! 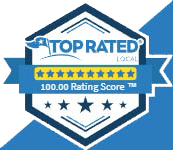 The staff is highly qualified and overall, just plain awesome. Paul and Dawn are super knowledgeable and are focused on making sure your training program suits your fitness objectives. I am a runner and my workouts have helped me run more efficiently as well as loose weight and build lean muscle. I love being able to fit in clothes that I haven’t worn in years and look forward to continuing my fitness journey. The cost is reasonable for the services offered. The gym is always clean and the equipment in good repair. You’ll be hard pressed to find more a more attentive, knowledgeable, friendly and responsive group. Paul is the best trainer in the metro area. He spends time customizing the workouts to meet your goals. Not one workout is the same. Each session is different which kept me looking forward to my workout. I had multiple trainers but not one was knowledgeable as Paul. I have issues with my right arm. My past trainers did not know what to do and just use standard gym equipment. When I meet Paul, he did his research and use excerise bands to work out my arm. He provided me multiple excerises to do which is great. I highly recommend Sand and Steel to everyone. I’ve had the amazing opportunity to work the trainers Brian and Paul at SS (Sand and Steel). Like many, I did group workout settings for many years, but after awhile I got bored, the moves became repetitive, and unbeknownst to me many of my injuries were because of improper lifting form. I love working out here at SS because every workout is a challenge, you will never plateau, or think “this workout is too easy”. If anything, you leave feeling whipped! I also love SS because they do not over emphasize weight loss and instead feeling strong in yourself. They are now introducing much more cost effective products that are accessible online. Thanks for being a part of the Sand & Steel Family. You have been getting stronger every session. We can’t wait to see your transformation! Sand and Steel coaches, programs, and facilities are top-notch! I’m just over 5 months pregnant and have been with Sand and Steel for more than 8 months and still look forward to all of my morning workouts! Trainers have done additional research, apart from their normal duties, to read up on specifics of working out and lifting weights, as it relates to pregnancies. The workouts with Sand and Steel have been a needed constant in my life, when recent moves, job swaps, and body changes have been knocking my routines out of whack. Thank you to all the coaches for their time and efforts! Worth every penny!! I started at Sand and Steel almost two months ago and love it. The workouts are unique to you and your abilities which is my favorite part. Rachel is phenomenal and the environment is comfortable. After being in ballet/jazz my body isn’t used to a lot of the weight lifting techniques, but Rachel is always up for the challenge of helping me correct my form. I’ve already recommended Sand & Steel to friends, but now it’s time to share with the world! I have been working with the staff at Sand & Steel since November of last year. What began as a desire to work off a few pounds and build some muscle has become a life changing endeavor. I feel better, look better and eat better, all as a result of the support and training I have received from the Sand & Steel team. Paul, Dawn, Max, Rachel, Santos, and Brennen have all guided and pushed me to reach new heights. Though I am now in my 60s I can honestly say that haven’t felt this strong in years despite maintaining what I thought were good dietary habits and exercise. 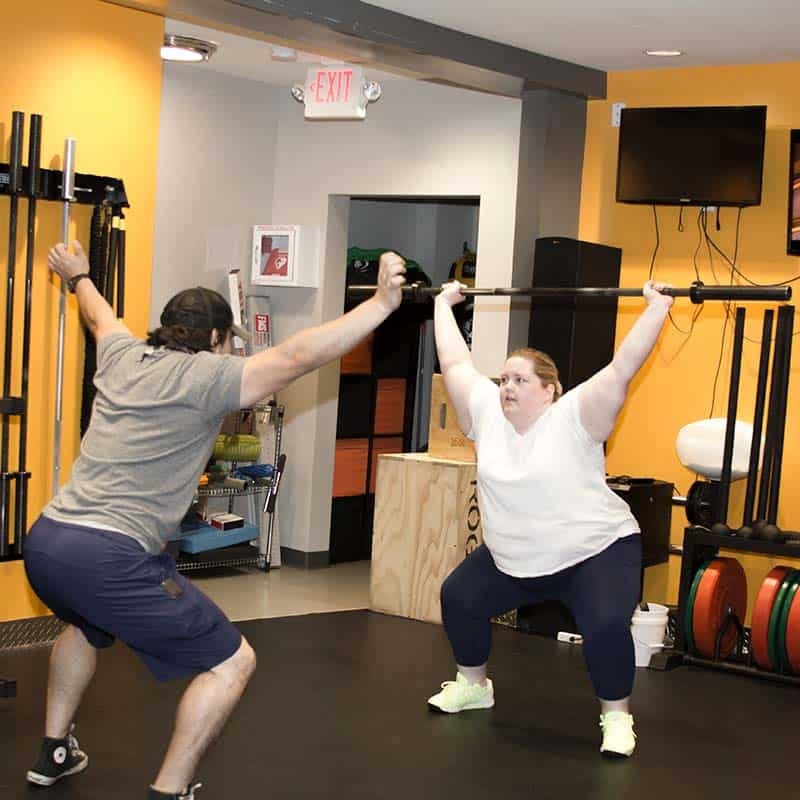 Programs at S&S are individualized and the coaches will meet your needs by motivating, challenging and modifying your plan to ensure that you meet your goals. I highly recommend Sand & Steel. If you’re willing to put in the work and let them show you the way you will not be disappointed- in fact, you’ll be thrilled. Sand and Steel Fitness is a great gym with an excellent coaching staff. Paul has incredible knowledge to help you with any mobility problems you have. He is also capable of designing a program that fits your needs and goals specifically. 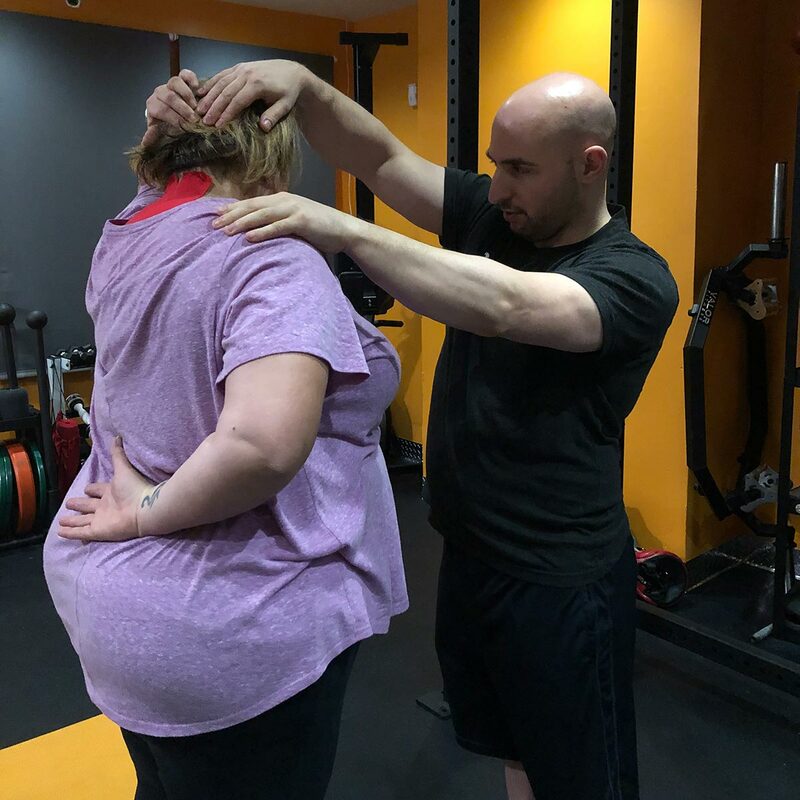 Dawn is an excellent programmer as well, she is able to create strength programs spanning the spectrum of novice to experienced weight lifter. Overall their coaching staff is professional, kind, and highly experienced. The amount of equipment they have is amazing allowing one to train every muscle in the body, even the ones you never thought you had! 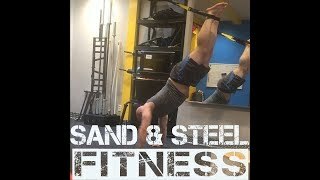 If you are looking for a gym to help motivate you to work out Sand and Steel is your gym! If you just reached a plateau and want to ascend to the next level, you should stop in and see Paul or Dawn! They have helped me lose weight and gain muscle in an effective and safe way. Best gym in Alexandria. Make You Feel Like Part of a Family...!!!! They are very friendly to work with any body, very professional and respectful, Flexible and your busy schedule to work out, it make you feel like part of a family…!!!! Fantastic and Professional staff. Well maintained equipment. A must visit! I am a certified personal trainer, but even the pros need some help. To sum it up, watching Dawn and Paul in operation is impressive. Impressive though isn’t really a strong enough adjective to describe the expertise, apparatus, and organization that these two provide. Witnessing them perform their craft and getting informed on how they run S&S, has been a delightful and informative experience thus far and I know that must be indicative of what their members consistently receive on a per visit basis. Paul is Absolutely Phenomenal. I came in thinking I know everything because I work for GNC and am a personal trainer as well and was absolutely shocked at the knowledge I gained in just 1 hour! I have an entirely different outlook on nutrition, made a complete diet change, and learned things I was doing wrong that I coulda swore I was doing right. The nutrition session led to a meal plan that I will be revolving my life around for years to come. Couldn’t have been more pleased and being in this business for 7 plus years I would recommend over anyone! A little long but I wanted to capture everything I would be looking for while researching fitness options. 1. 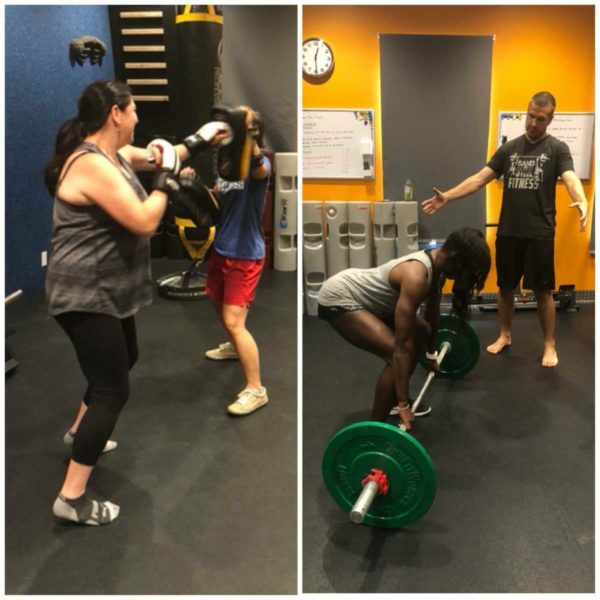 Results: First let me start off my saying I’ve tried a lot of different gyms and trainers from Gold’s Gym to other fitness studios, from cross fit boxes to various running clubs. All seeking a better body. Out of everything that I’ve tried throughout the years Sand and Steel Fitness definitely is the only place where I’ve experienced lasting results. Not only were they quick results but it’s been almost a year (9 months) and I am still noticing differences. My body fat percentage has dropped from 29% to 24%, as well as my clothing size from 10/12 and now I’m at a 4/6. 2. Nutrition: I know the key to this success was mostly in part to nutrition. They actually have a legit curriculum to follow that makes sense and is obtainable and most importantly sustainable. Again, I’ve tried everything from Atkins, Paleo and embarrassed to say, Jenny C. Nothing yielded results the way their Origin Nutrition program does. Paul in addition to his formal training, actually takes time to read and research on his own to develop the teaching sessions. Also, most recently I was severely anemic my iron count was at a 6.0. I worked with Paul and he literally researched all foods that have iron and what ways I can improve my count through nutrition. My last iron count was a 12.5 just 3 weeks ago. They clearly go above and beyond which means a lot to me. 3. Training Sessions/Trainers: When I first started I was told that I would not get the same trainer each time. I initially thought that was crazy and quite frankly bothered by it however, I was pleasantly surprised that I actually like that system way more than I thought I would. 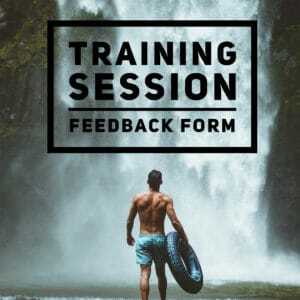 Here’s why, my training plan was well documented where each trainer jumped right in to pick up from the previous session. I also like the fact that each trainer has a uniqueness which keeps it interesting and they all operate with excellence. At a previous a fitness studio that I attended, the trainer appeared to be making up exercises as he went along. So the mere fact that I had a well-documented plan was a plus. Not only do I have a plan but I really enjoy the baseline testing. I just completed my follow-up testing to see where I have improved and I improved in all areas. The bottom line is this place is legit. If you are looking for results this is definitely the place. The program is more than doable and I promise you will see a new you. My favorite part is when my Facebook friends see me out, because they see my “check in” post they all know I’ve been working out. They constantly say “those workouts are really paying off” LOL. Interesting….it just dawned on me that I usually always post about my workouts but never received those comments until I started Stand and Steel! Paul is a great trainer. I had multiple trainers in the past and none of them is knowledgable as Paul. He provides multiple excerise to meet your goals. Not one workout is the same. The gym is clean and easy to locate. I highly recommend Sand & Steel fitness to everyone. I found out about Sand and Steel because they offered a special during the First Night Alexandria events. As a person who enjoys group fitness classes, these are some of the best. The classes they offer are small and they work with you on form throughout the class. They have a variety of different classes during the week, and I haven’t disliked any of the ones I tried (although Steelfit is probably my favorite). Everyone is friendly and the gym is one of the cleanest I’ve seen. Definitely addicting workouts! True fat loss programming – 15 pounds down, and still dropping. I’ve been going to gyms for over ten years 2-3 months at a time, and rarely saw improvement. I didn’t prioritize exercise or a properly structured diet It just took too much time and there is too much contradictory information online.) As a result I gained about 20 lbs pounds of body fat. With a little push from my doctor, and certain early health alarms starting to ring, I firmly decided to take charge of my life and get in shape once and for all. When I met Paul and Dawn, the owners of Sand and Steel, I immediately noticed a difference between large, chain gyms and this one. 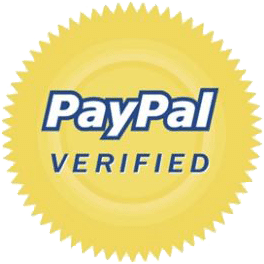 Paul and Dawn are extremely enthusiastic about changing people’s lives for better, while doing it in a professional, thoroughly researched and proven way. They have a two-pronged approach – diet and exercise. Paul created personalized diet recommendations for me and then tracked them regularly to make sure I would not waver. I’ve trained with several personal trainers using their XT60 program, and all the workouts are fun and extremely challenging. What’s really shocking is they said I only had to come in twice a week for an hour a time! I was little skeptical that would work, but as I found out, with the right programming and the right diet, you can make really fast improvements. I lost 15 lbs of fat in just two months. They have an InBody body fat measuring device to track fat and muscle changes. 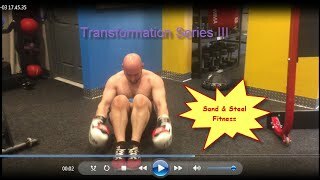 Also a little different is that Sand & Steel eschews the conventional exercise machines found in many gyms. Instead they use free weights, TRX Suspension Trainers, and functional equipment. Similar to CrossFit, but way cleaner and without the competitive high risk movements. Most notable about Sand & Steel is they really do offer you a personalized program that will get you results you really want. Other gyms may offer more sophisticated equipment, but Sand & Steel’s equipment is brand new, and it works. Sand and Steel’s personal trainers will help you achieve your goal in a much more efficient manner, faster, and with the personalized approach that is hard to find these days. Give them a try and see for yourself. Great job guys! Worth every single penny! Sand and Steel has a very impressive and professional staff. I found them to be knowledgeable, great listeners and awesome motivators. The instructors here have extensive backgrounds in exercise science and nutrition. They provide workouts to cater to each individual’s needs whether it be general fitness, functional training, weight loss, rehabilitative, high intensity , cross fit etc…Some of the equipment used included kettle bells, maces, suspension training and the list goes on and on. If your looking to build muscle and burn fat Sand and Steel is the place to be. I have done personal training before and you can tell by first meeting Paul and Dawn that they care to understand your needs. Paul’s attention to develop a personalized plan for the first workout kept me engaged. 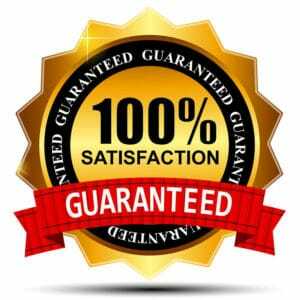 Their price plans are reasonable given the caliber of the workout and customer service. Intense and a Great Workout! I was lucky enough to meet Dawn through a networking group and Paul was a previous client of mine. They are both so friendly and the gym is phenomenal. Overall the training I have received has not only been intense but a great workout! It is nice to have a variety of equipment to use while in the gym. I especially like the TRX machine and the fact there is so much space to accommodate group classes as well as one on one training. S&S Workouts are Fun and Exhausting!